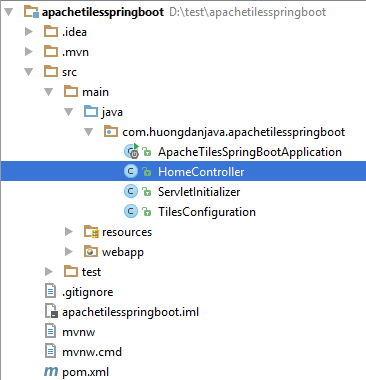 In my previous tutorial, I showed you how to use Apache Tiles in Spring MVC. 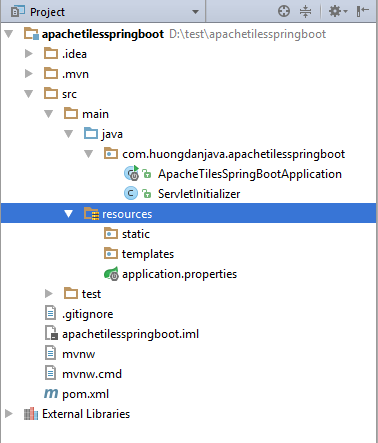 I want to write another tutorial on how to use Apache Tiles in Spring Boot to give you an overview of the differences between these two uses. That is the content of this tutorial! 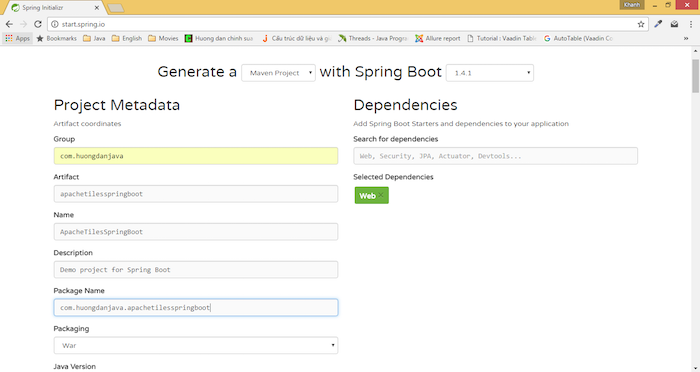 I will use Spring Boot Initilizr Web to create a new Spring Boot project with Web dependency. OK, now let’s get started! 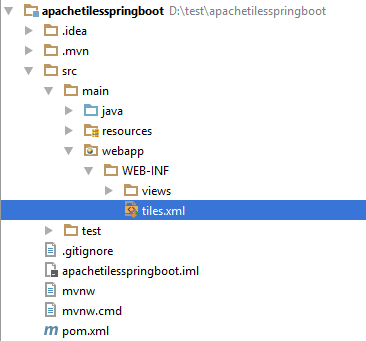 The first step, like in Spring MVC, we need files to display the view used by Apache Tiles. I will retrieve the files in the previous tutorial. I will create the directory src/main/webapp/WEB-INF/views and copy all the files display the view in the previous tutorial, put into this folder. 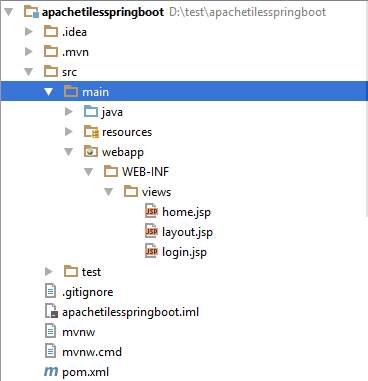 Next, I will copy the configuration file of Apache Tiles in the previous tutorial and put it in the src/main/webapp/WEB-INF directory. Next we will define the bean for Apache Tiles. In this step, we will use the @Configuration annotation to define the bean for Apache Tiles. If you do not know how to define bean in Spring’s container using @Configuration annotation, can refer to this tutorial! The last step is to define a controller to run. OK, so now we can run the application.